There are some improbable sites like old enough temples, distinct theatre and alluring wild mess in the Hanoi with over 1,000-year history. You are supposed to make sure to visit these attractions as many as possible because they provide beauty, entertainment and education at different turns. Star to experience Top 10 Hanoi Points of Interest as below. Maybe scores of people know and heard of Ho Chi Minh who has left an indelible mark on Vietnam history and he is revered as the country's greatest leader in Hanoi. One interesting thing, Ho Chi Minh was nicknamed 'Uncle Ho' by locals; his preserved body lies in a glass case in the Ba Dinh area of Hanoi until now. This is not just a tourist attraction; it is a part of the history of life and the visit here are kept in memory for a long time. This dark building imitates Lenin's mausoleum in Moscow. If Buddhists want to build a tree house, it may look like this. The temple looks like a lotus flower blossoming from a pillar in the pond, similar to the dream of a child the emperor received. Inside, there is also a small shrine to the Bodhisattva of Mercy. The current structure is a reconstruction, as the French were first destroyed after they withdrew from the country. 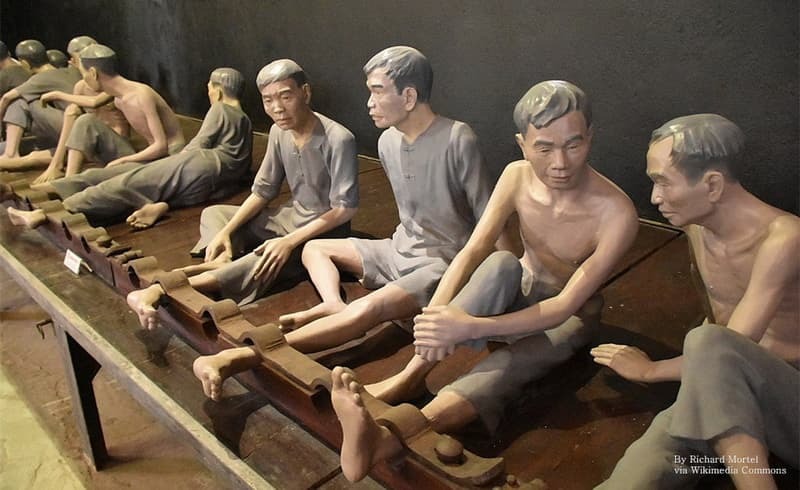 The Hoa Lo Prison was originally built by the French to house the Vietnam political prisoners and created ironically the Hanoi Hilton by American POWs. Some well-known figures like Senator John McCain, James Stockdale and Bud Day were just a few of the many prisoners of war that spent time in this prison. Two thirds of the prison was dismantled to make way for the Hanoi Towers; the rest became a museum and it has now become a popular tourist attraction in Hanoi. 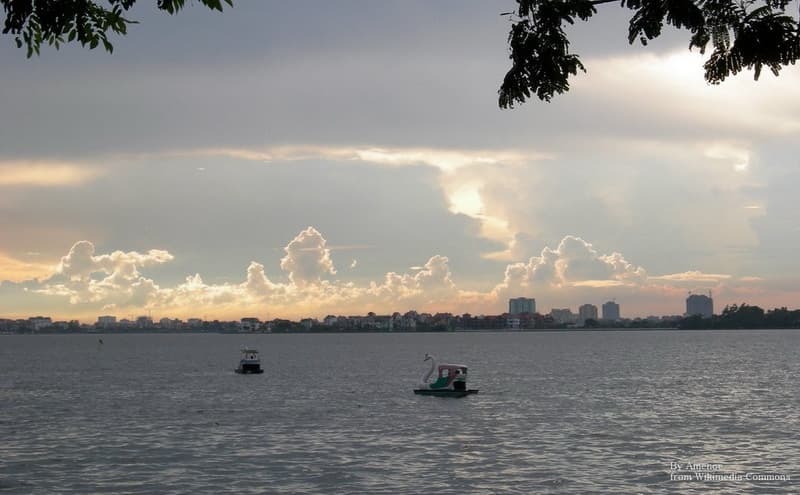 This largest city lake is a favorite place for tourists and Hanoi residents. This high end residence is for wealthy people in Hanoi and also contains a large number of hotels, restaurants and stores selling luxuries. Dating back to the sixth century, this pagoda can be found on an island in the center of the lake. 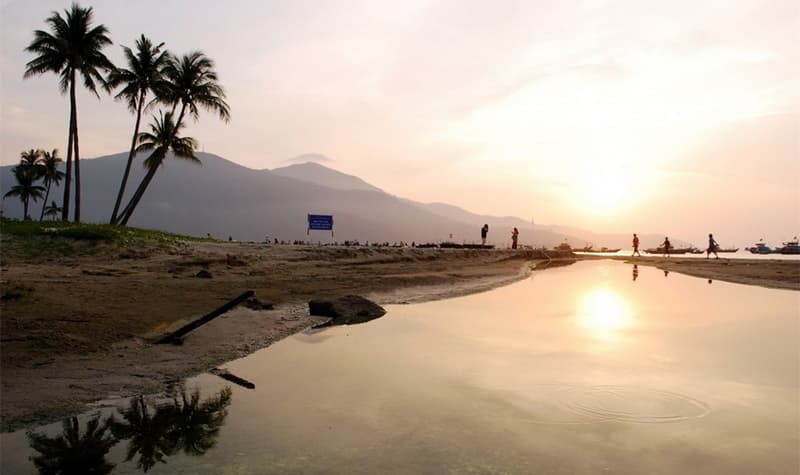 Sightseeing, Boating and shopping along the boardwalk are general activities here and the West Lake is worth the trip. 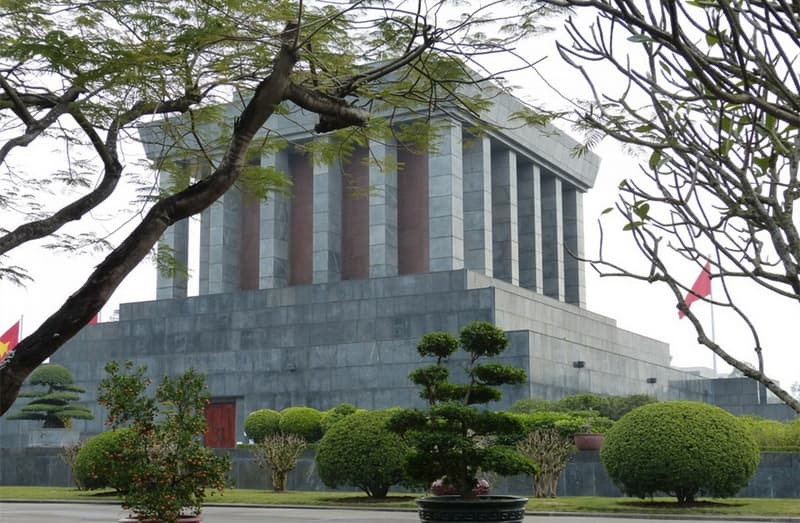 There is a humble stilt house behind Ho Chi Minh's Mausoleum, where Ho Chi Minh supposedly lived in the 60s. But some people expressed that it would have been too risky in the period of the war for him to live here. The house is a reflection of a traditional rural residence, and has been saved when Ho left it. It is located in a garden with carefully look-after next to a pond with carp filling. The palace isn't open to the public and just for official receptions. 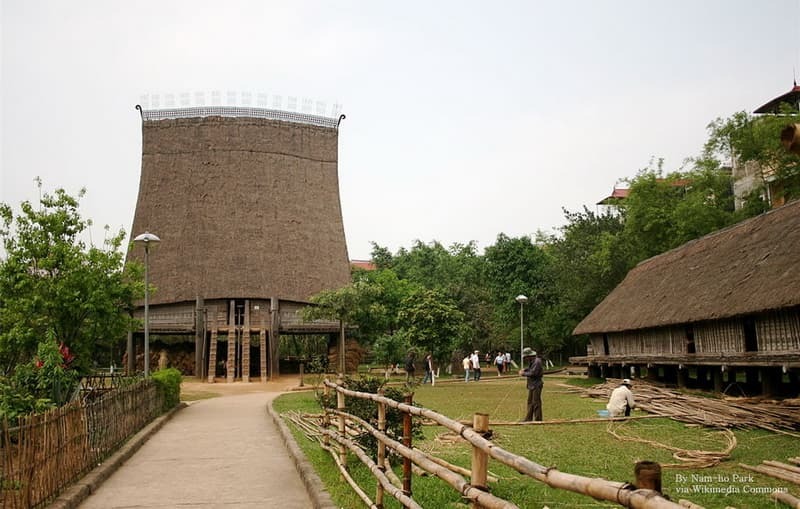 Vietnam is a coagulation of 54 different officially recognized ethnic groups, like a lot of colonial regions that were associated by European rule.The Museum of Ethnology is dedicated to understand each other better and is very elegant. 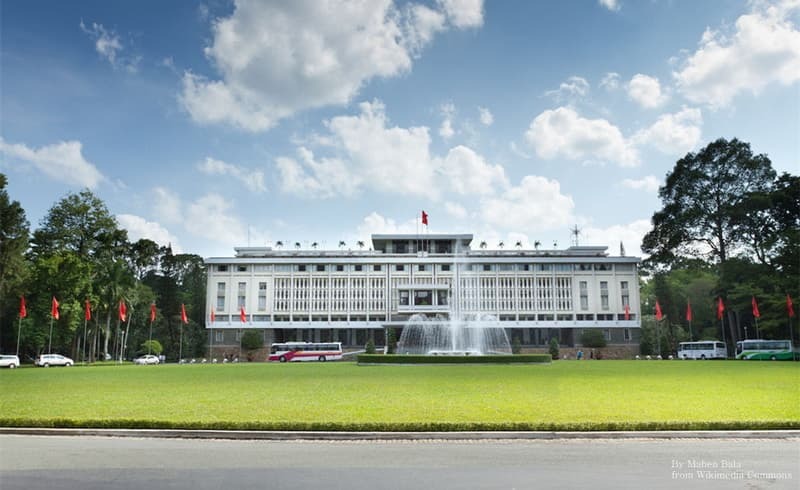 It is widely regarded as the best of all the modern museums in Vietnam. The exhibits include a combination of art, daily necessities and historic artifacts to better tell the story of each unique culture. The Red River is the center of the trade and warfare of the Hanoi over long history. From long time ago, the Red River gives much energy to the heart of the country. There are many thriving inherited villages and temples along the bank of the Red River, When you are on a Red River Cruise, you can enjoy the amazing sights of the farmland pass by and fresh air. In nowadays tour, some tourists can engage in a trip from a different viewpoint and head on out to some main sites that outside the city. The ancient art form of water puppets has a long-term connection with Hanoi, and there are several theatres where allow guests to enjoy the unique Asian heritage of Vietnam. The Thang Long Puppet Theatre is the original and widely regarded as the best theatre The Puppets dance and slide gracefully over the liquid stage, controlled by a whole troupe of puppet masters hiding behind a screen. You will take unique bird's eye view of the Vietnam capital from the observation deck at Lotte Centre Hanoi. 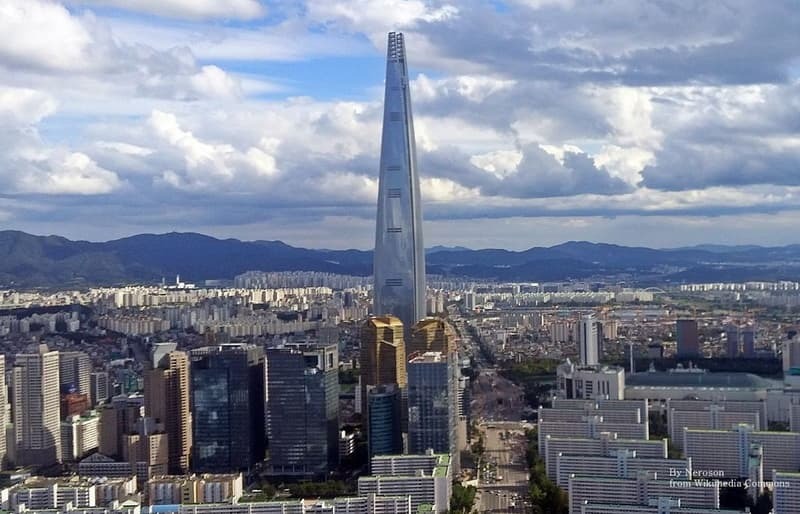 The Lotte Center Completed in 2014, is the city's second-tallest building, which the management uses the center from 360-degree perspective on the top floor. Once you have enough time to look around the city, you can test your agoraphobia at the Photo at Skywalk; there you can walk on the glass floor with a heart-stopping sense. Afterward, you can slow down your rushing heartbeat one floor up at the roof-deck bar. The Imperial Citadel of Thang Long is an interesting relic of Vietnam's history. It symbolizes the importance of its history and culture and has now been listed as a UNESCO World Heritage Site. The 40m high National Flag Tower is the most recognizable feature of the Imperial Castle and is often used as a symbol of Hanoi. This is the center of ancient Hanoi and has become the political center of eight centuries. Located in Ba Dinh, the Imperial Citadel of Thang Long is close to many other tourist attractions.